There are many herbal teas out there, claiming to have a million health benefits. Some taste too strong/pungent, some taste like they belong in a vase, some give me an upset stomach and some just don’t do what they are supposed to. So what is so great about ANOTHER herbal tea? 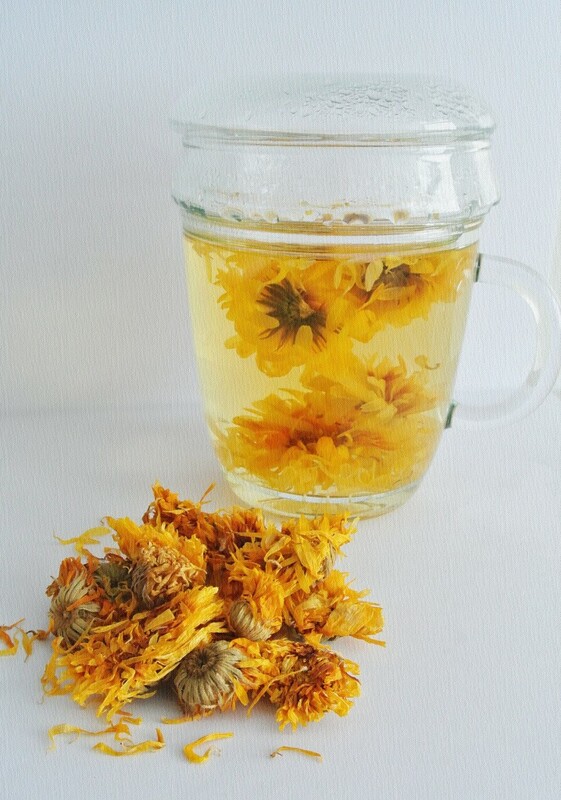 I first came to know about marigold tea when I was looking for a non-medicinal remedy for indigestion. A dear family friend (who is now living in Sardinia) recommended this. Now I drink it often before bed, especially when I have had a bout of heavy meals. I found it has more uses than just for easing indigestion. Also known as calendula, the marigold flower is a yellow or orange hued flower from the Mediterranean region. Marigold is best known for containing high levels of flavonoids, an excellent antioxidant. Its bright orange color contains beta-carotene, which also found in carrots and is rich in vitamin A. In fact, marigold is now being studied for possible cancer cures because of its antiseptic, anti-inflammatory and anti-bacterial properties. The beautiful blooms also contain essential oils that are known to stimulate the immune system, so I also drink it to stave off an impending cold. 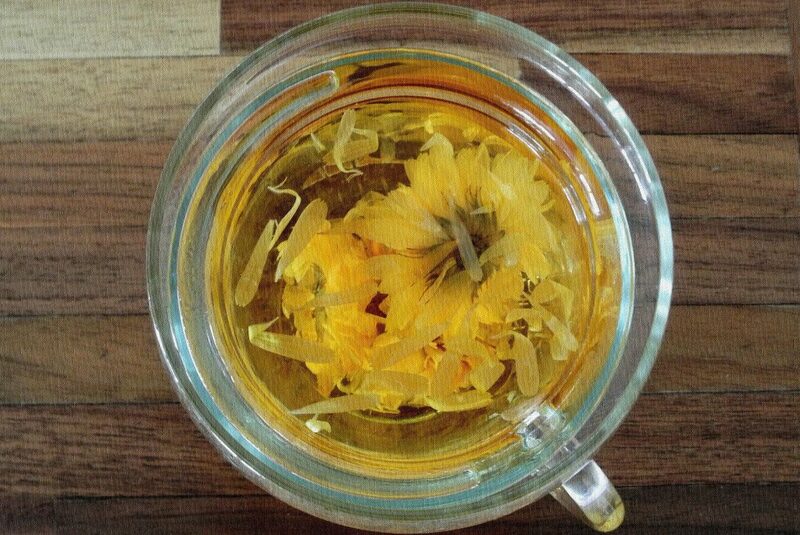 Drinking marigold tea regularly can help to detox the body. It is also well known to help ease and sooth stomach ulcers and stomach cramps. I have seen firsthand how it helped someone relieve horribly painful reflux conditions, removing the need for long term medication. Marigold is also used as a soothing skin treatment for bruises and eczema, gentle enough for children.